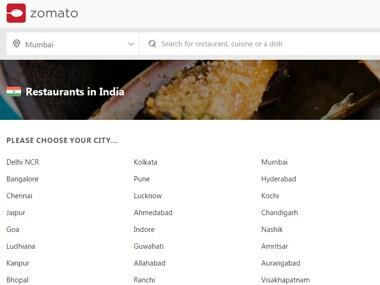 New Delhi: Online food ordering firm Zomato on Friday reported a loss of $294 million (about Rs 2,035 crore) for the year ended March, even as revenues jumped three-fold to $206 million. The company had posted revenue of $68 million in the previous fiscal year. In its annual report for FY19, Zomato said the loss was mostly on account of the food delivery business in India. The loss for FY18 was not disclosed. The company said total cost increased to $500 million for FY19 as against $80 million in FY18. 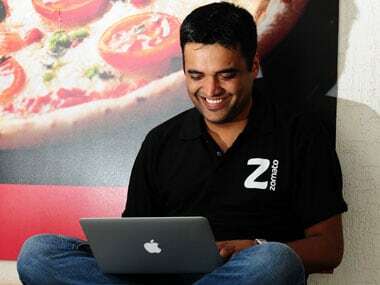 All the marketing investment the company made in FY19 will bear fruit in FY20 and beyond when it realises the lifetime value of the users that it has acquired, Zomato said. The company will continue to invest in growing the market at the same pace as long as there is long term value to create, it added. Saying that the company is realigning its business segments, Zomato said: "Three years ago, advertising represented 100 percent of our revenue and focus. Today, we are largely a transactions company - 85 percent of our revenue in March'19 was driven by transactions." The company has stopped considering advertising revenue as a standalone P&L (profit and loss) last year, and now it thinks of its business as a combination of three key large pillars -- Delivery, Dining Out, and Sustainability, the report said. Delivery revenue for FY19 is $155 million compared to $38 million in FY18. It now contributes 75 percent to the company's total revenue, up from 55 percent in FY18, the report said. Unit economics of the food delivery business have come a long way, it added. "We now lose Rs 25 per delivery, compared to Rs 44 per delivery in March'18. Our last mile cost per delivery is now Rs 65, compared to Rs 86 in March'18. The key driver metric of unit economics - number of deliveries per rider per hour has gone up to 1.4 from 0.9 last year," it said. The company now operates in over 200 cities in India, up from 15 cities in FY18. Revenue for the dining out segment rose to $49 million for FY19 from $30 million in FY18. For the sustainability segment, the revenue for FY19 was $2 million. It was nil in FY18, it added. "Hyperpure was launched in August 2018 to supply fresh, clean ingredients to restaurants," the report said. The company is also helping farmers develop better crops that are pesticide and chemical-free, providing them assured demand cycles and better pricing throughout the year, it added.